Crystal Synth XT is a full featured semi-modular synthesizer, ideally suited to creating lush evolving soundscapes. Crystal VST has long been a popular synthesizer on the desktop. 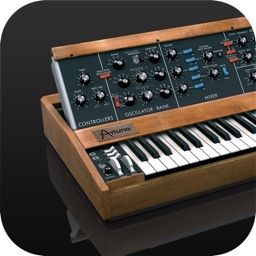 Crystal Synth XT brings that same powerful synthesis engine to the iPad and iPhone. Crystal Synth XT features MIDI keyboard input via Apple's camera adapter and sharing of sounds with the desktop version of Crystal. Browse through the included sounds and use the 2 octave keypad or keyboard to trigger notes to produce evolving, rhythmic, or melodic sounds. Create your own sounds with a single button press using the breed feature. When using an iPad, you can delve into a tweaker's dream by using the extensive editing features to sculpt sounds to your heart's content (editing features are only available when used on an iPad). 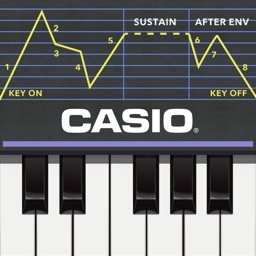 Crystal features both subtractive synthesis and frequency modulation (FM) synthesis. 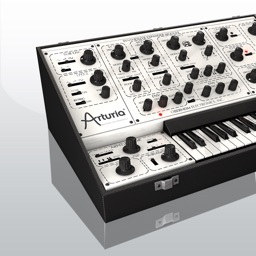 It offers abundant modulation control with over 90 parameters which may be modulated, multi-stage envelopes with graphical editors, extensive tempo sync of envelopes/lfo rates/delay times, built-in effects for chorus/flanging/comb filtering/echoes, and a band splitter for effects processing by frequency band. Not only that, Crystal has wave sequencing and granular synthesis. The musical applications for Crystal are literally boundless. With MIDI keyboard input, you can connect a MIDI keyboard to your iPad or iPhone and play Crystal Synth XT like a hardware synth. 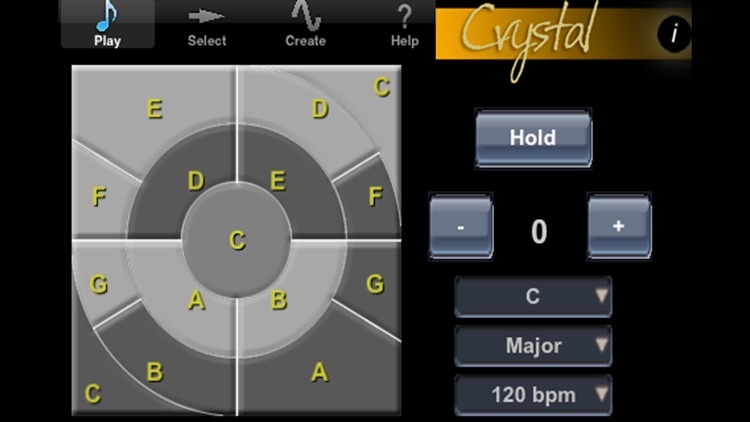 Use virtual midi to play Crystal Synth XT from a midi controller app. Use the Settings app to turn on the Background Audio mode to enable Crystal to play audio when in the background. You can then play Crystal from a midi controller app which supports virtual midi. With patch sharing you can create sounds on your iPad or iPhone while away from the studio, then transfer them to the desktop Crystal when you get back to the studio to use in recording projects. Or, create banks of sounds on the desktop Crystal, then transfer them to the iPad/iPhone Crystal to use in a live performance for a truly portable rig. Use Audio copy/paste to record your performance on Crystal and transfer that performance to another app. Or copy your recorded performance to your computer. 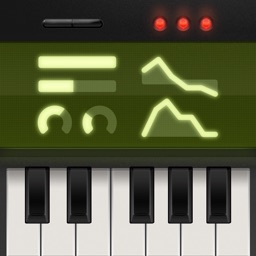 To use IAA or Audiobus to record into other apps, turn on Background Audio for Crystal Synth XT in the Settings app. 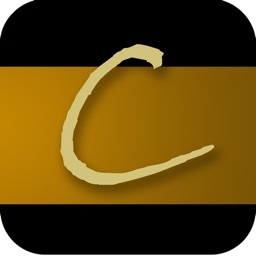 See demonstration videos on the greenoak.com website. 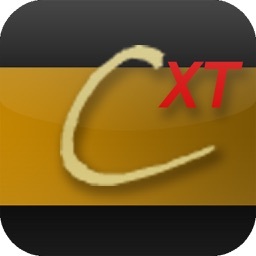 If you don't need all the features of Crystal Synth XT, try the basic version of Crystal, also available in the app store from Green Oak Software. With the basic version you can browse sounds, play notes, and create new sounds, taking advantage of its powerful semimodular synthesis engine. The XT version adds features like MIDI keyboard input via the iPad's camera adapter, IAA/Audiobus, and patch sharing with the desktop version. Choose the app that is best for you! Important note for iPhone users: Crystal Synth XT runs on both the iPad and the iPhone. Because of the limited screen space on the iPhone however, the editing pages, which contain the edit controls, are not available when running on that device. However, on the iPhone you can still browse sounds, play notes from the keypad, create new sounds with the Breed feature, modify patches with the Design feature, and share sounds with desktop Crystal VST.